So many of us are trying to create passionate reading environments, we are doing all the things the experts tell us to do, and yet, something just isn’t clicking. Some kids are reading sure, but they would probably be reading any way, others though, not so much. Our passionate reading environments are just not working for all of our kids. Invested in books. Every single book that I have in my classroom, pretty much, is a book that I think might capture a reader. When a book gets worn, I replace it. If a book has a bad cover, I try to see if a new version has come out with an updated cover. While I know our libraries should have massive amounts of books for all readers, I also believe in quality over quantity. Diversity in books. The #WeNeedDiverseBooks movement have really gained momentum the past year, and rightfully so, and I couldn’t agree more. Our students need to be able to find themselves and their lives within the books we have. Not just across racial lines or economic lines but also in the narratives of their self-identity. These three books are doing just that for many of our students. Easy access to our books. All of my books are in bins and they are right at their fingertips. No check out system, no asking for permission. And we need it in our classrooms, not just in the book room or in the main library. We need to have in-class libraries so that students can bookshop whenever they need to and so that they can be enticed to read. Giving choice. Choice in seating, choice in books, choice in way of reading. Free abandonment. Students think they need permission to abandon books for some reason and so I celebrate freely whenever I abandon a book. I ask the kids if someone wants to prove me wrong when I abandon a book and they always do. Sometimes they commiserate with me about how that book is not well-written and other times they argue that I am so wrong. 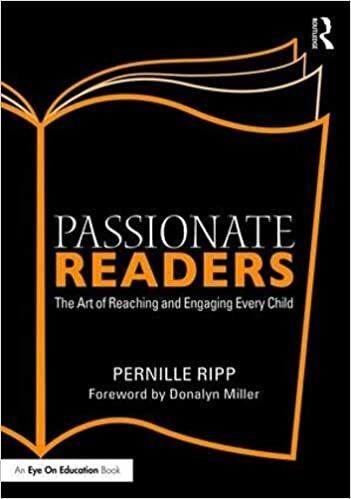 What it does though is that it signals to kids that they should be selective in their reading as well, because that is the sign of a wild reader, to quote Donalyn Miller’s amazing book! Leaving time to talk books. Too often we over-schedule our lessons and don’t leave time to just talk about what we are reading and why it is amazing. So find holes in your schedule where students can just talk books without any project attached to it. Teacher recommendations. I start many classes with the 1 minute book recommendation sharing why I loved a book or why I bought a book. Then I place it on a ledge and walk away. I do different recommendation in all of my classes. Student recommendations. We talk about books quite a bit, both in structured and unstructured ways. We do the 1 minute speed book dating where students face each other in two long rows and one side recommends their book in a minute, one the timer buzzes they go to the next person and recommend it to them. I leave book piles out on tables for students to browse through as they enter. These are not just new books but also some of my favorite older books that students may not have discovered. They have a “Favorite reads” book tree, where they can leave their favorite books for other students to read. The To-Be-Read List. Students need to always have an idea of what they will be reading next so we have a paper list this year of the books we cannot wait to read. Next year, we will move to use Goodreads as a way to keep track of what we have read, offer suggestions and also have a way for our friends to see what we are reading. It is judgment free. I am not the reading police and while I continually recommend books to students I will not stop them from reading a book, nor will I judge them based on what they are reading. Sometimes your strongest readers need a break, other times your developing readers need a challenge. Letting them figure out what they need at a particular time is incredibly empowering for students and definitely necessary. Celebrating the re-read. I re-read picture books all of the time and often find myself gravitating toward certain books. The Poisonwood Bible is a book I have read several times, relishing the vague recollection of what happens but also discovering the text in new way each time. Too often we assume that students are re-reading because they lack inspiration, but that may not be the case. Some kids are re-reading to discover more about the text, that is true close reading. No need for speed. Because we are reading log free, we have no need to track minutes or pages. Students read as much as they can in our independent reading time and I only ask them to write down the title. We do a 25 book challenge for all students, or higher if need be, and all students keep track of how many books they have read. Larger books count for more than one so that students are not discouraged from reading thick books, but can read whatever they want. And yes, picture books or graphic novels count as well. Protecting independent reading time. Often our independent reading time is what we sacrifice when we have a lot to cover, and yet, this is the thing we need to protect the most. I start almost every class period with 10 minutes of independent reading and it is sacred time for us (thank you for the idea Jillian Heise!). Some times that is the only reading time students get and they need it. If we worry about whether a kid is reading outside of school pay attention to what they are reading inside this time. This is where I can help kids to find better books or help them develop their skills to pick books. Creating enticing libraries. Kids love book stores because the books are exciting, even our most reluctant readers will pick a new book of the shelves if we display it well. So I pay very close attention to how books are displayed; I use all ledges, have a gutter hanging on the wall for picture books, and I switch out the books often. I want students to pick up the books and flip through them so I have to create opportunities for that to happen. Creating reading role models. Students need reading role models, and not just adult ones. I love being passionate reader and it is something I showcase any chance I get in our classroom, but more importantly students need to see students who are reading role models as well. We Skype with other classes to share book recommendations, we share our favorite books on our blog, and we give students time to take on the role of role model. We need to create communities of readers where students have room to discover each other as individuals so they can learn from each other. Let them order books. If a child says they cannot find a book they love, then I pull out a Scholastic catalog or get on Amazon and I let them choose a book. I use bonus points when I can or I buy the book myself if I need to. Sometimes simply being able to completely choose a brand new book means that a child will at least try to read the books. Crack your hardest nut. You know that kid that really hates reading and almost flaunts it every chance they get. Spend your energy on them because often they are influencing the way their peers are thinking. So they are the ones I continually pass books to, they are the ones I am always talking books with, and they are the ones that I try to get be a reading role model if I can get them hooked. Embrace mature books. These are the books that some of our most reluctant readers will finally pick up. The ones with the swear words, or the ones with the little bit more mature story lines. Be selective, set your standards, but don’t shield all readers from mature books. These can be “that” book for some of our kids who otherwise will never read. Ask your students. Too often we assume that we know why students are not reading, so we never ask, but that is the very first thing we need to do. Ask your students to discuss why they hate reading and get those demons out in the open so that you can start to work with them rather than just assume you know what the problem is. Stay passionate. There are times when we get so busy that reading was pushed to the side, yet often within our busyness is when we need to embrace our passion even more. So re-ignite your own passion, change things up, go on a mission to find the most magnificent book you have ever read so that you can hand it to students. 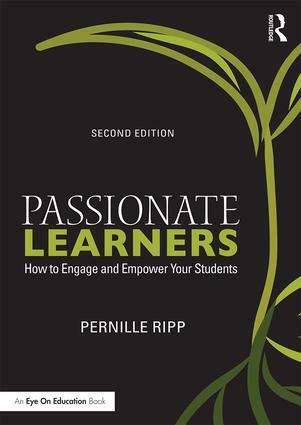 Don’t let the outside world influence your inside passionate classroom. Become a reading warrior. No more quiet compliance when initiatives are introduced that we know will hurt students’ love of reading, we have to band together and start speaking up for our students. Their love of reading is too sacred for us to stay silent any longer. Here is the blog post that discusses this more. I missed one of the biggest ones! Thank you Rachel Yoder! Partner with the librarian! Whether your school has one (which every school should!) or you partner with your local librarian, bringing in another knowledgable reading adult is a sure fire way to have an even bigger impact. You are not alone in trying to create passionate reading environments, your librarian should be a trusted ally. To see how all of my books are organized, go here. To organize your own library, including check out, go here. To see my book review blog, go here. excellent suggestions! if only my son could have been in your classroom. I believe you could’ve converted him….. now he’s 26 and all hope is lost as far as I can tell. Hi Margaret, hope’s never lost. I discovered reading for fun age 23 as I happened to work near the town library and took myself there over lunchtimes. Unsure of myself at first I began browsing the shelves and discovered such treasures! I’ll be reading the rest of my life and sharing with others as best as I can about what it’s like to discover reading having seen it as only a useful technical practice I can do in exchange for income until that point. Pernille, I’m so happy to hear you talk about Free Abandonment because that’s exactly what changed for me after university; the freedom to read what I want without someone looking over my shoulder. I’ve heard of a conference where the speaker asked the audience of adults; “How many of you have unfinished books at home?” With looks of shame nearly everyone’s hand went up. Then she said, “Who says you’re not finished with them?” What a clever lady! Hi, this is a wonderful article. Can you show a picture of the open bins please? I am dealing with this in my classroom as the books are mostly on shelves. Most are medium size picture books but hard for kids to access. I am intrigued about bins. Do you have any sorting or ordering system? Let me write a post, showing the different ways I organize books. Thanks for this post. I used Goodreads with my 6th and 7th graders this year. It was a mixed bag. Some kids used it well and others not so much, but it would have been the same on paper. Having kids put their lists on Goodreads is the way I’ll go this fall, as well but I will make some adjustments. I think that if we’d had BYOD or 1:1 this year it would have been much easier. Next year, I will be moving to grade 5 and we have asked parents to send tablets or laptops to school with their children. We’ll see how it goes. In any case, I will spend more time in class allowing Ss to update their Goodreads lists and to comment on their classmates’ lists, especially as we learn how to use Goodreads for individual purposes. I will be more active and update my own lists, and comment, and share on my Ss lists. I will also make sure that Ss understand that this is now the paperless form of the traditional paper reading log that they used to keep before. I will spend time making sure kids understand why we’re doing this in the first place – keeping lists of books we read, abandon, want to read, etc. I like your suggestion above about asking students why they hate to read. Although it makes perfect sense to do this it’s rarely a topic of conversation. I also agree that it’s important to spend more time with kids who don’t like to read and to constantly hand them books they might like, which is why we really need to get to know our kids well! Thanks for this post! This is a great, consise list. Love the idea of letting kids order books. I also sometimes wander the bookstore aisles and buy specific books for specific readers. In class, I just hand them the book without saying anything. When the title closely matches their interest, these become some of the class favorites.